Please feel free to contact us for any special orders you can think up. 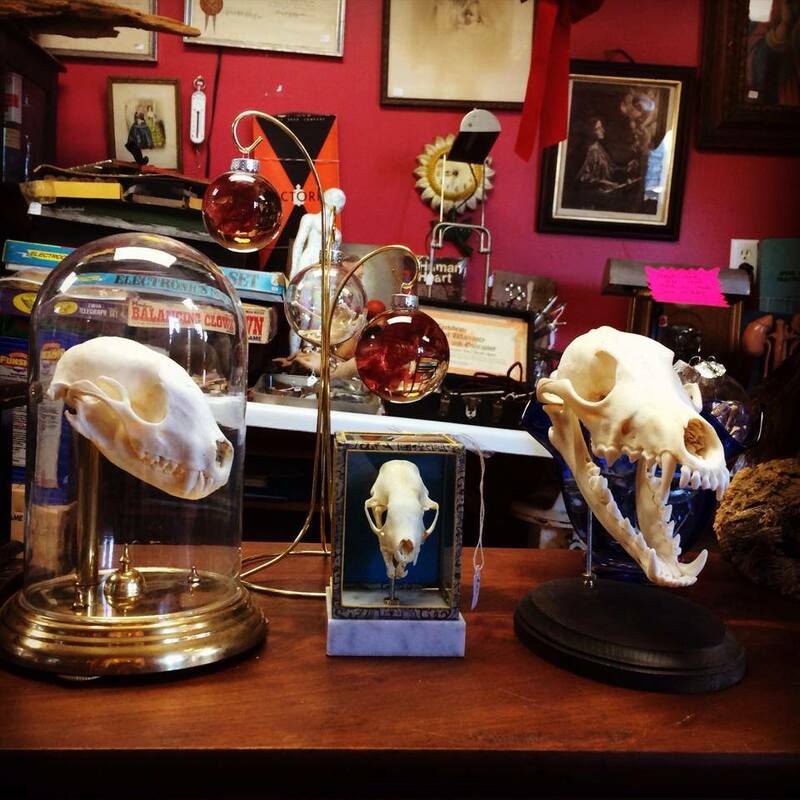 We have taken on everything from a customized Oscar Wilde taxidermy duck to specialized lamps and framed pieces. 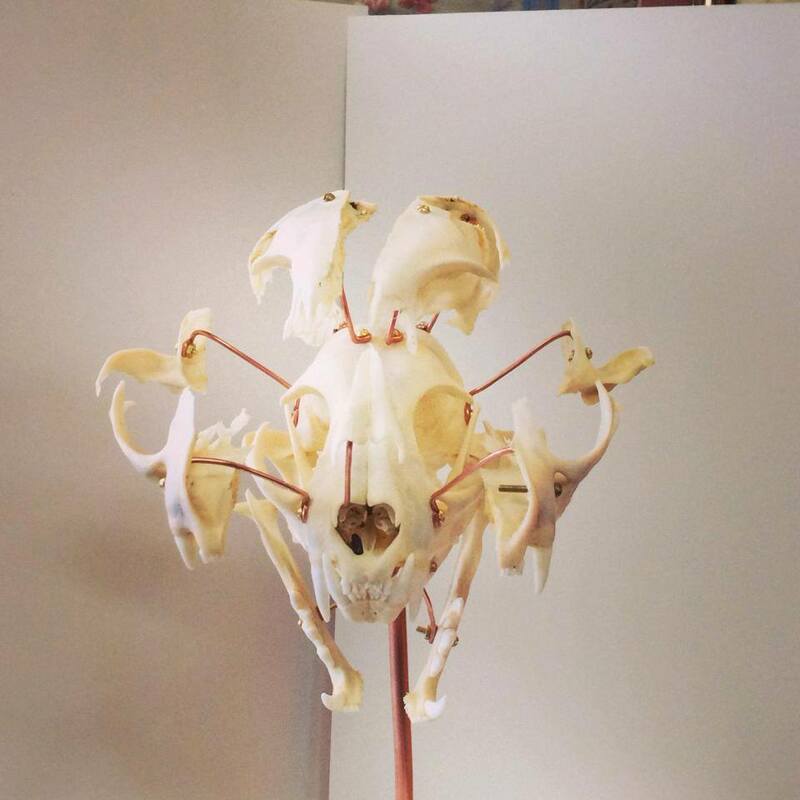 We can make a custom mount for any skull or bone piece in the shop. We can articulate any skeletons you have. We are able to process and articulate skeletons of pets or found animals. We make custom human skull mounts and specialise in beauchene skulls and fantasy bone sculptures. We can make custom jewelry from teeth, yours or your pets. Below are a few photos of custom orders we have completed.